The Cam Newton-led Carolina Panthers will take the field against "The Sheriff" and his Denver Broncos for Super Bowl 50. The NFL's premier championship game, the Super Bowl takes place every February following the conclusion of the NFL regular season and conference playoffs. This year, the NFL and its fans will be enjoying the 50th Super Bowl 7 February 2016 at Levi's Stadium in Santa Clara, California. Fortunately for all you NFL betting enthusiasts, regardless of any storylines (which there are plenty), the Super Bowl - especially Super Bowl 50 - always features ungodly amounts of bets, totally an expected $4.5 billion in wagers out of the US alone this year. When betting the NFL, two key markets are considered, the player and team markets. You aren't going to want to miss out on all the potential winnings so check out the most lucrative of these two markets offered for Super Bowl 50 by one of the top online bookmakers. Since football in the UK is not football in the US, we also provided some useful storylines to consider when betting the two markets. Spread betting is a common trend in America with most US bookies (the few that there are) offering odds on the spread of a football game. Over/Under markets are certainly offered but not as widely bet. Major UK bookies who offer Super Bowl betting markets tend to offer a wide range of spread, over/under and other outright bets. The Denver Broncos' storyline this week might be all about their future hall of fame QB possibly lining up under center for the last time in his historic career but the backbone of the Denver Broncos and what got them this far has been their defense. During the 2015 regular season, the Denver defense ranked number one in the NFL for 'Total Defense', which is yards allowed per game, 'Passing Defense', limiting teams to just under 200 passing yards per game (199.6 yards/game), and finished third in 'Rushing Defense', allowing only 88.6 rushing yards per game (only 2 yards more than #1 Seattle). Denver's offense, and Peyton Manning mostly, struggled with injuries and inconsistent play all year resulting in a heavy lean on the defense. Understanding team form is paramount when spread betting. The Carolina Panthers on the other hand were somewhat balanced all throughout the season. The team got off to a franchise-best 14-0 start and finished #1 in the NFC with a 15-1 record. The offense and now MVP front runner Cam Newton were the storyline all year and deservedly so, they had one of the top rushing attacks all year and surprised everyone with a competent passing attack. But despite the surprising offensive success in Carolina, the team's defense, led by 'Defensive Player of the Year' candidate Luke Keuchly, finished 6th overall in 'Total Defense'. So with two quality defenses and only one potent offense, unless Peyton's been saving something all year for this game, it appears safe to assume this will be a relatively low scoring affair. Coral Sports set the over/under at 45.0 offering 10/11 odds on over and 20/23 odds on under. Coral Sports also set the spread at Carolina -5.5. Denver's defense will certainly keep this one closer than punters taking Carolina would have hoped but Peyton's digression over the season has many believing he and that offense won't have what it takes to keep this one tight enough to have a shot at the end. American Football and the NFL are driven by their playmakers so the players markets are always a great way to make some easy money. With so many potential options (22 starters per team with numerous other players getting quality action), bookies offer relatively favourable odds but with a little understanding of player trends and past form, you can almost assure a positive return. 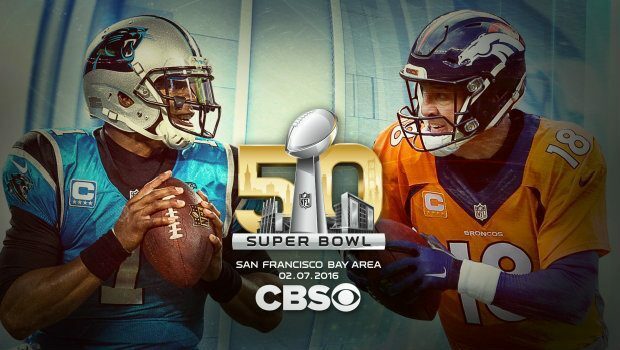 Super Bowl 50 will feature two of the game's most well-known players, NFL MVP front-runner Cam Newton and one of the game's all-time greats, Peyton Manning. Despite their similar status as QBs of this year's Super Bowl teams and both being the number one overall draft pick in their respective classes, the two couldn't be any more different in terms of personality, experience, and playing style. Understanding player style and form impacts how you should approach the players market. Peyton Manning, despite setting numerous NFL records and winning multiple MVPs throughout his illustrious career, has digressed all year in his veteran age while also struggling with injuries. At one point he was available to return from an injury but was benched in favor of the young backup (who tanked and eventually got replaced by Manning). Peyton also is dealing with off the field issues as allegations are being investigated accusing him of taking PEDs (Performance Enhancing Drugs). The long time pocket-passer is well-known for his multiple endorsement deals and ads as well is for his inability to impact the game with his mobility (he's slower than dirt). Keep this in mind when considering his already unfavourable odds for MVP. Cam Newton on the other hand is a young and budding super star who shined all year with his impeccable decision making, big play ability and crushing runs. Cam is known for his out-spoken nature and uniqueness. Rarely does a player garner so much attention despite breaking so many molds set by his QB predecessors. Despite doubts from most, Super Cam and his band of misfits have taken the league by storm. Considering Cam for a 'First Time Scorer' is reasonable but his odds might not be too favourable with all the attention he gets. The 'Super Bowl MVP' market might be the most lucrative of all the offered markets. Predicting the MVP isn't a cake walk but the odds are so favourable it's impossible to pass up. The obvious choices might not have the longest odds (Coral Sports offering Cam Newton at 8/11) but players just outside of the top tear have odds worth noting. Jonathan Stewart is the starting tailback for the Carolina Panthers meaning he gets a majority of the touches in a offense who led the league in rushing. It's fair to say he has a great shot at landing MVP honors as he is on the favored team who loves giving him the ball. The risk is Stewart loses redzone carries to Cam and touchdown-hawking Mike Tolbert. But if Stewart gets out in the open field a few times and the Panthers take home the crown, Stewart at 40/1 with Coral Sports is not a bad bet. This market, similar to the MVP market, offers favourable odds on players proven they can get in the endzone; the aforementioned endzone-hawking Mike Tolbert of the Carolina Panthers is currently offered at 3/1. Despite American Football's lack of international notoriety, the NFL's Super Bowl is notorious for having some of the largest total wagers of any event each year. Super Bowl 50 is sure to see a wealth of punts from players all over the world. Be sure not to miss out, visit Coral Sports today to place your first bet!